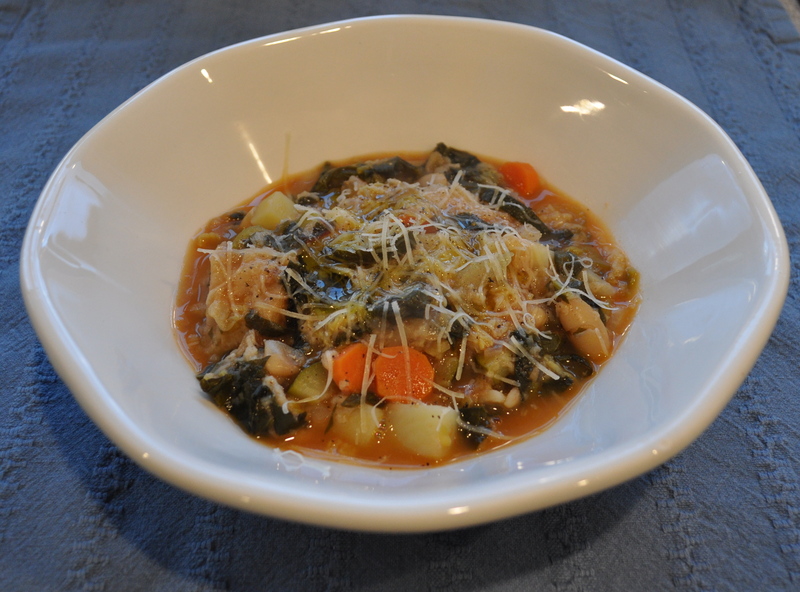 Ribollita (Tuscan vegetable and bread soup) – Got Nourishment? Ribollita literally translates to “reboiled.” This is because ribollita was traditionally made from leftover ingredients or minestrone from the day before. While studying in Florence, I took several cooking classes. 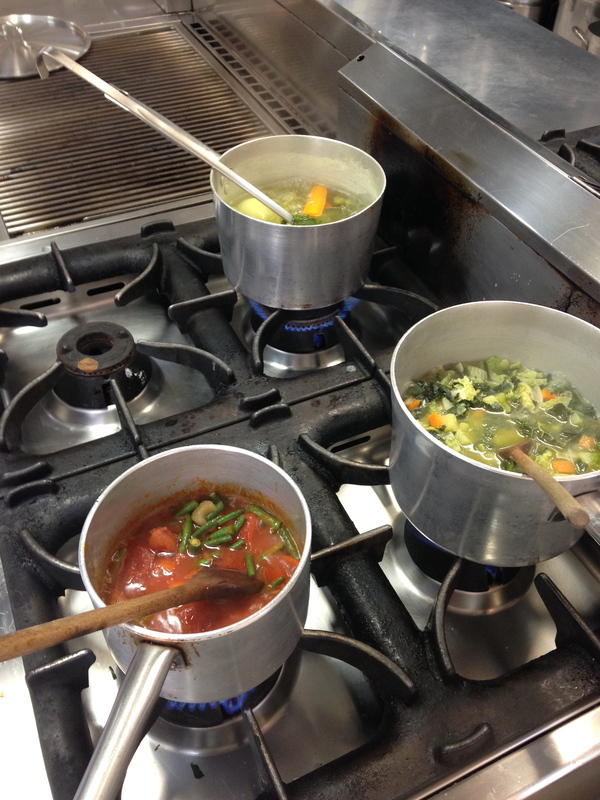 In one of these classes we learned how to make ribollita, which is a traditional Tuscan soup. Lots of delicious veggies, homemade vegetable stock, and stale bread. This is an excellent and wallet friendly way to use cheap veggies and old bread. Stale bread you ask? I know it may be strange, but it adds a nice thickness and flavor to the soup while cutting down on waste! My cooking lab in Italy. Broth on top left and soup on top right. Also pictured, a delicious Fagiolini al sugo dell’orto (beans with tomato). Rich in fiber, vitamins, minerals, and flavor, this soup will be sure to please! There are many variations of this recipe, so I challenge you to find your favorite! Add or substitute your favorite vegetables or use whatever you have on hand. Try not to peel too many layers off the onion before chopping. Those outer layers hold a lot of good nutrients! Feel free to substitute another type of cabbage for the Savoy, since it is not always available. 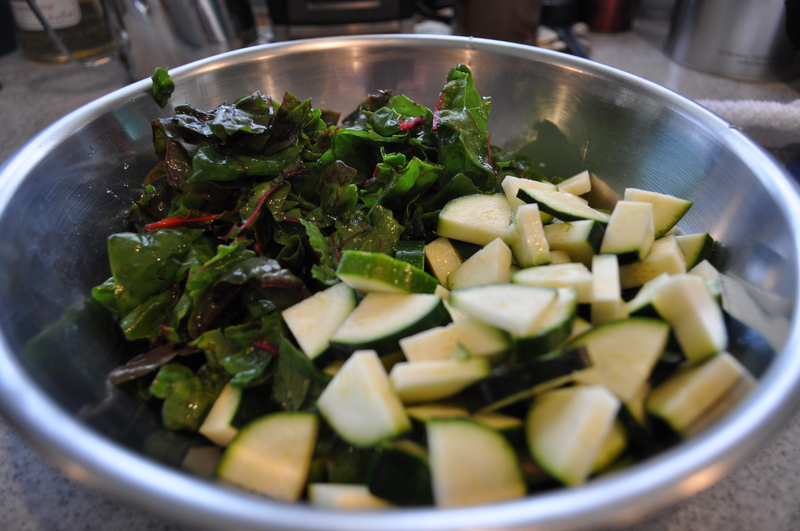 Beautiful chard and chopped zucchini. 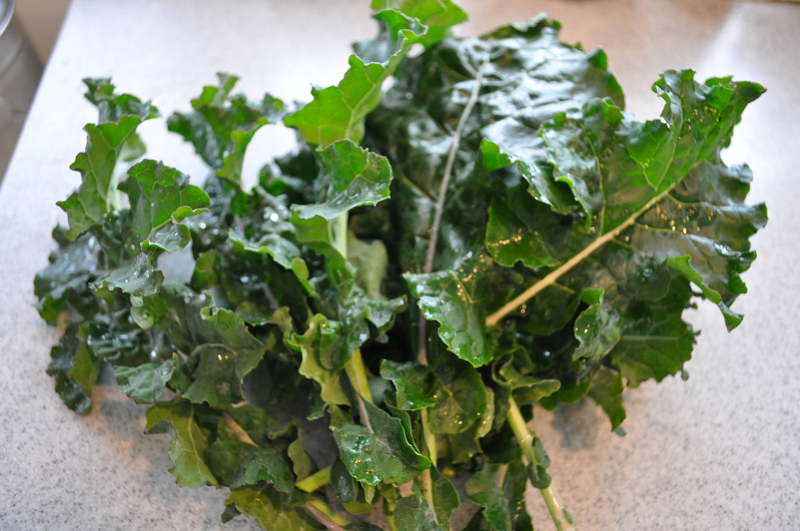 Drained and rinsed to reduce the sodium content. 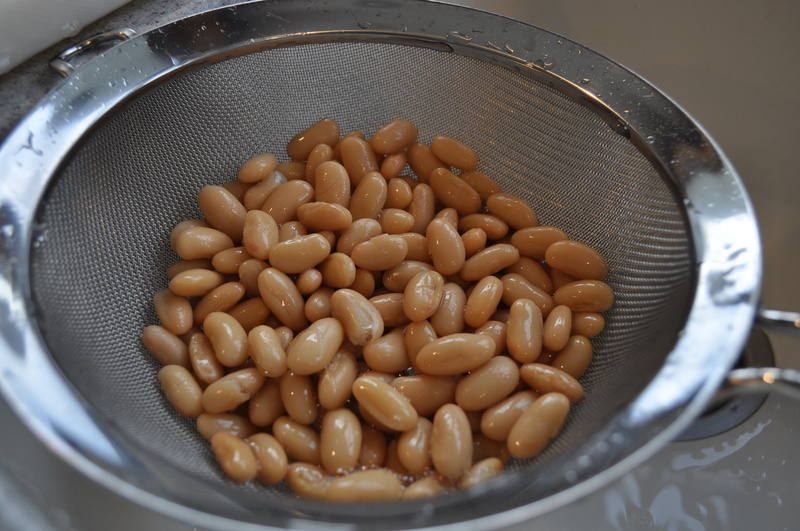 If you have time, you can also cook beans from dried for more flavor and lower cost! Time to stir in the bread! Bring 8 cups water to boil and add the carrot, celery, and onion. Bring down to a simmer while you prepare the rest of the soup. Heat 2 tablespoons olive oil in large pot. 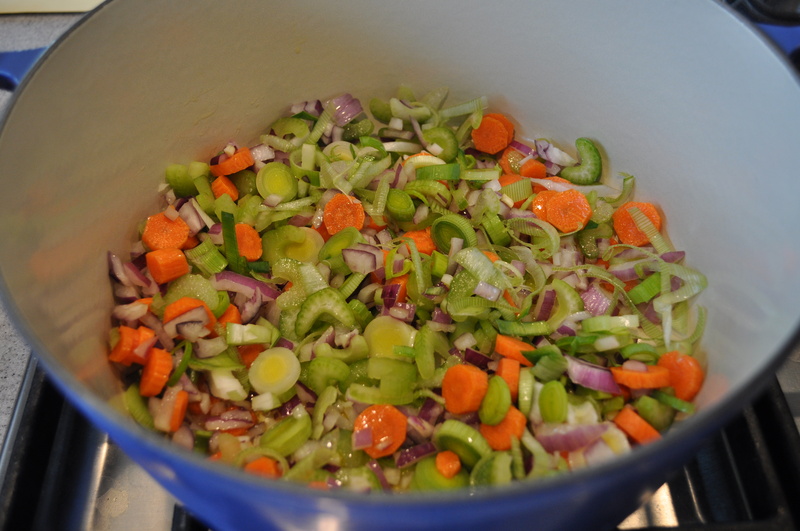 Add chopped carrots, celery, leak, and onion. Cook until tender. 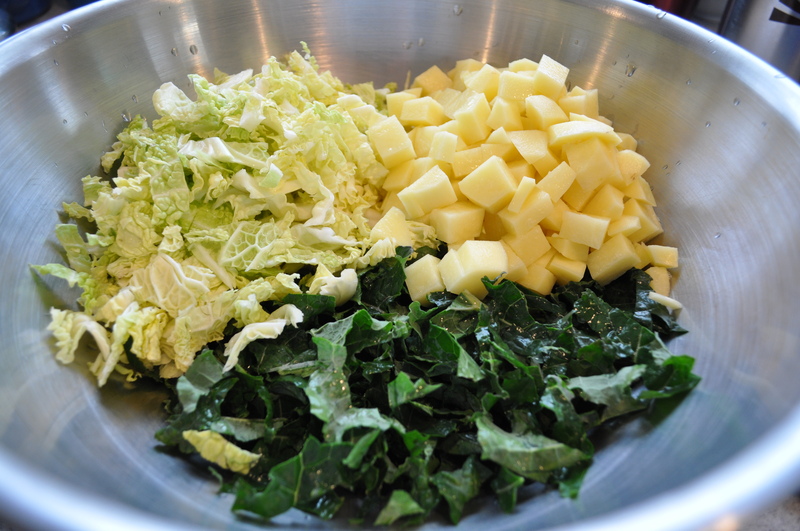 Once tender, add potato, kale, and cabbage. Simmer for 10 minutes. Add zucchini, chard, and tomato puree. Simmer for 5 minutes. 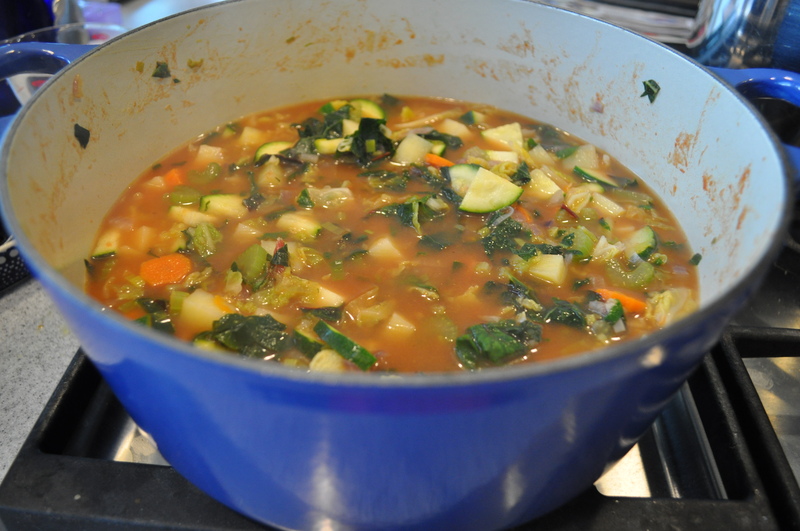 Add 6 cups of vegetable stock and simmer for 20 minutes. Add cannellini beans and salt and pepper to taste. Simmer for 10 minutes. 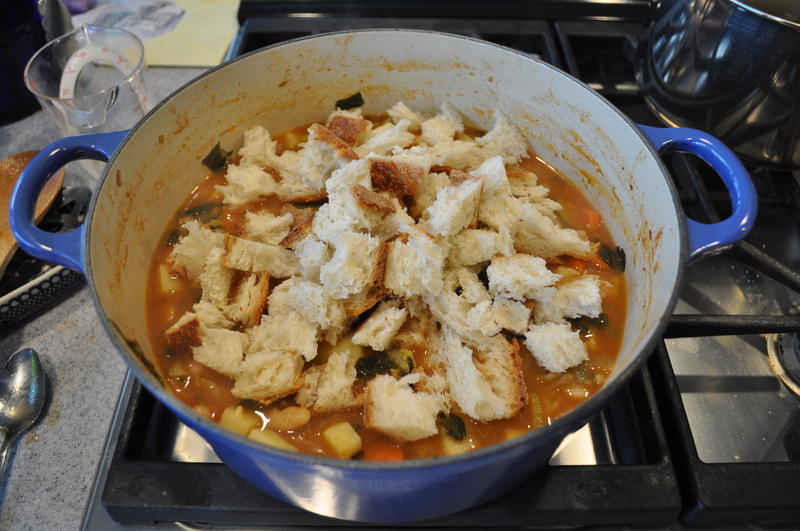 Add bread chunks and continue to simmer until soft. Serve with freshly grated Parmigiano Reggiano, black pepper, and a drizzle of olive oil. Tip: To reheat, heat on low heat and add water or extra stock if needed.